OREP has served the E&O insurance needs of real estate professionals for over 16 years and is fully automated to save you time transacting your real estate errors and omissions insurance. OREP is also fully staffed so that when you need to speak with a person, someone is here to help. Most of the agents have been at OREP for the better part of the 15 plus years we’ve been in business. The OREP staff is experienced, courteous and efficient and we’re here to help. OREP specializes in placing errors and omissions insurance for real estate professionals and providing valuable benefits to real estate appraisers, home inspectors, real estate agents and brokers, mortgage brokers, and energy rater & contractor professionals. OREP offers competitive rates on real estate E&O insurance with same day coverage and confirmation (most cases). For instant E&O quotes for appraisers click here. 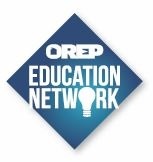 NEW: OREP / Working RE Webinar Series: Get advice from experts across the industry and increase your bottom line and professional expertise. Click here to see our latest webinars. Approved Continuing Education for Real Estate Appraisers. OREP Insureds get a discount. Click here to learn more. In addition to offering the finest E&O insurance for real estate professionals, including appraisers, home inspectors, agents/brokers, mortgage field professionals and others, OREP provides a valuable package of benefits including a subscription to Working RE Magazine – an award-winning publication for appraisers, inspectors and other real estate professionals, with access to premium content online. OREP members also enjoy valuable discounts on education, access to group medical plans and more. Click Benefits for more. Cutting Expenses as Business Slows: Why Canceling E&O Insurance Can Really Cost You! Don’t Inspect for Pests–Sued Anyway? OREP Risk Purchasing Group, Inc. (“OREP RPG”). OREP RPG is an unincorporated association that operates as a ‘risk purchasing group’ as defined in the Federal Liability Risk Retention Act (15 U.S.C. §3901 et. seq.). If liability insurance coverage is placed on behalf of the applicant through OREP RPG, such coverage will be in accordance with the OREP RPG insurance program requirements, including payment when due of all insurance premiums as well as any OREP RPG membership fees. OREP–Organization of Real Estate Professionals Insurance Services, LLC. Calif. Lic. #0K99465 Licensed in all 50 states and D.C. Please call for the license number in your state. Click for more information on our Errors & Omissions Programs and Applications or call us toll free: 888.347.5273. We’re here to help.